McCrea’s Languages of the Night: Minor Languages and the Literary Imagination in Twentieth-Century Ireland and Europe (Yale University Press, 2015) explores how the decline of rural languages and dialects in 20th-century Europe shaped ideas about language and literature and exerted a powerful influence on literary modernism. The Wellek Prize is generally considered to be the most prestigious award in the field of literary studies. Past winners of the award include Umberto Eco and Edward Said. In announcing the prize at its annual meeting at Harvard University last week, the awards committee offered high praise for McCrea. “This meticulously researched book, rendered in a haunting, lyrical style, juxtaposes a set of cases in which vanishing vernaculars inspired the linguistic strategies of literary modernism in the early 20th. On the basis of linguistic exegesis and close readings, Barry McCrea uncovers the longings of lost language inscribed in the poetry and prose of such modernists as Seán Ó Ríordáin, Pier Paolo Pasolini, Marcel Proust, and James Joyce. In so doing, he illuminates the literary afterlife of languages that were disappearing at the peripheries of modern urban cultures, and for the first time, places them in comparative historical and cultural perspective," the committee wrote. This is the first time that a book about Irish themes has won the prize. 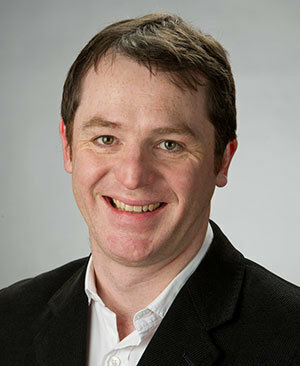 McCrea, a faculty fellow at the Keough-Naughton Institute for Irish Studies, is the author of The First Verse, a novel, which won the 2006 Ferro-Grumley Prize for fiction; In the Company of Strangers: Narrative and Family in Dickens, Conan Doyle, Joyce and Proust; and Minor Languages and the Modern Literary Imagination.